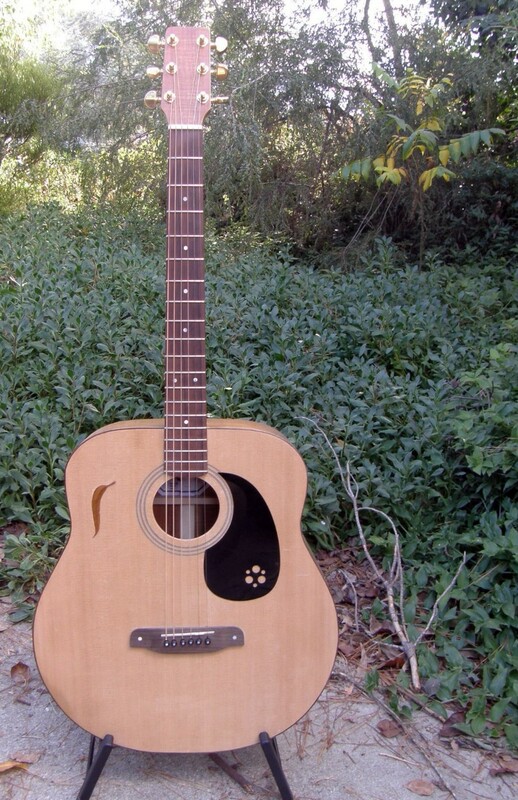 The Jumbo 6 string is a big-bodied guitar with a 25 11/32″ scale length and a 15 fret neck. As you’d expect, it has great presence and projection. Any future version will have a 10m radius arched top and carbonfibre reinforced scalloped X braces. This is my own personal guitar on which I try to play like Brownie McGhee, with varying degrees of success. And just in case you’ve never been blessed this way, hear Mr McGhee sing and play the blues now.